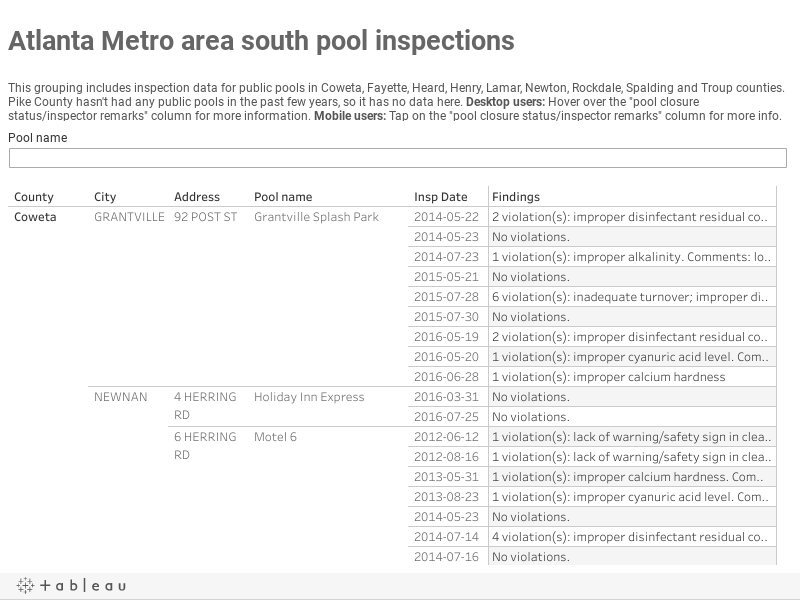 Before you (or your kids) dive into the neighborhood pool this weekend, dive into our data and see that pool’s track record for being clean and safe. 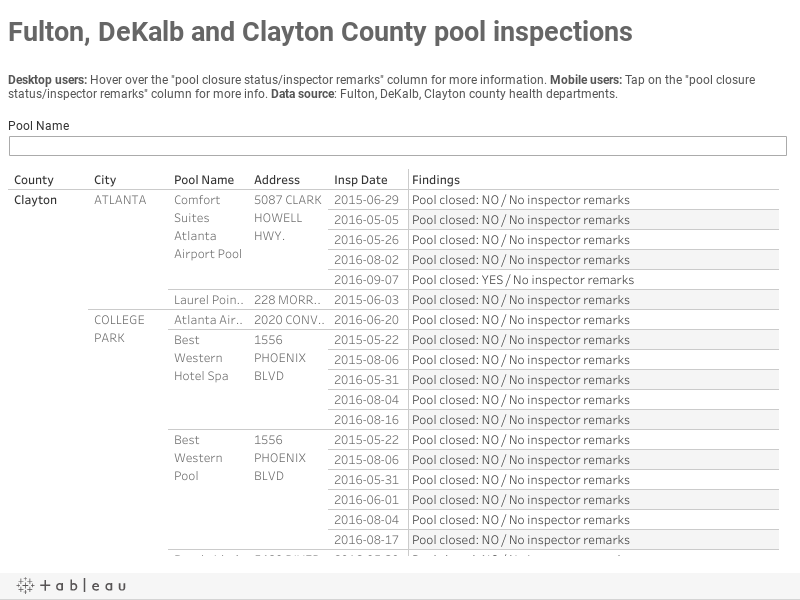 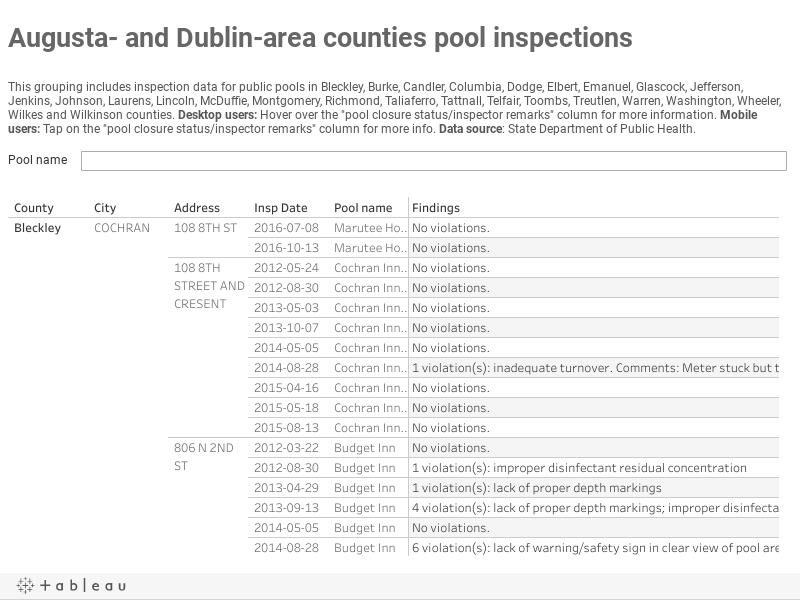 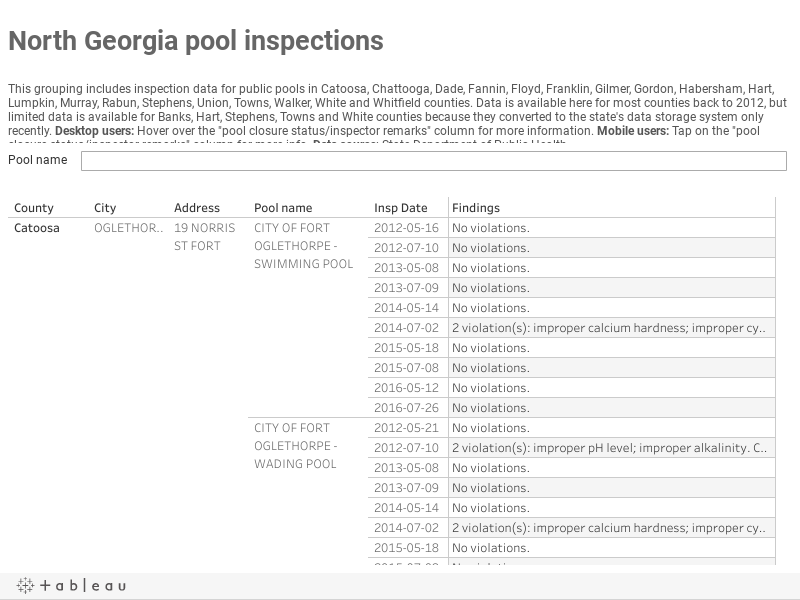 The Atlanta Journal-Constitution has gathered and summarized public pool inspection data for most of the counties in Georgia. 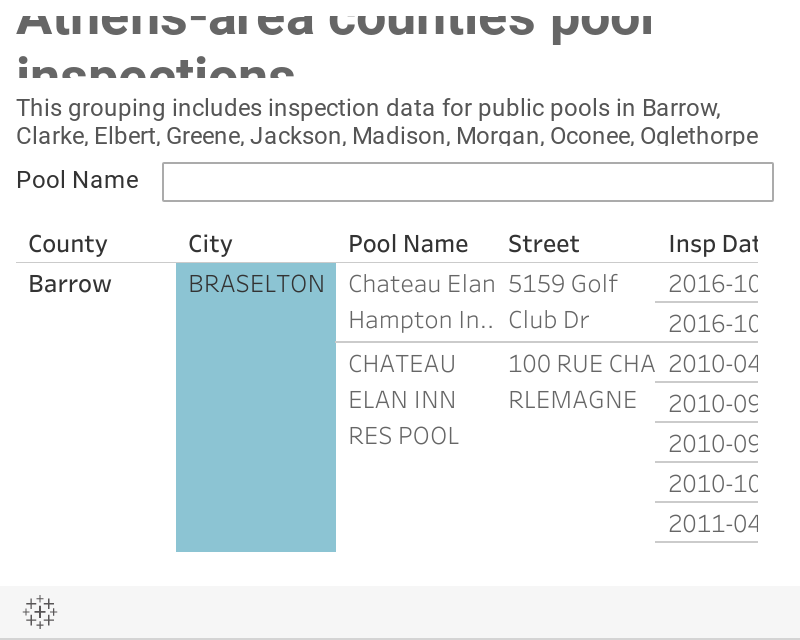 The data is as recent as March or April of this year -- when we asked government agencies to download and provide the data to us in preparation for summertime -- and, for most counties, it goes back as far as 2012. 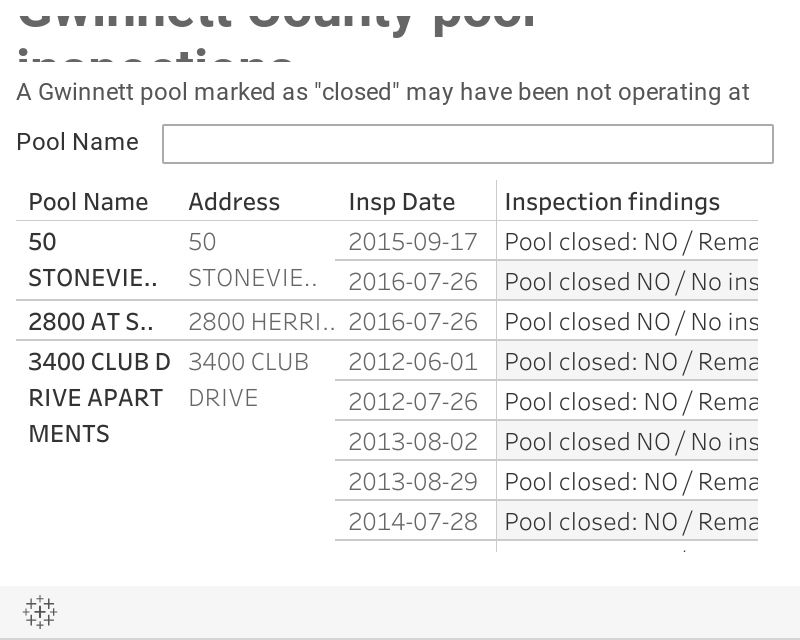 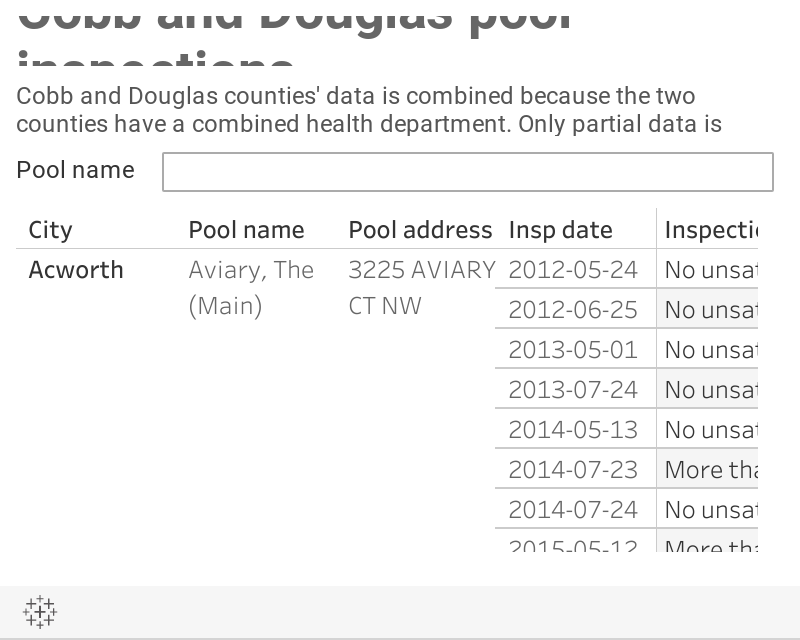 The data covers public pools -- those used by the public, even if they’re privately owned. 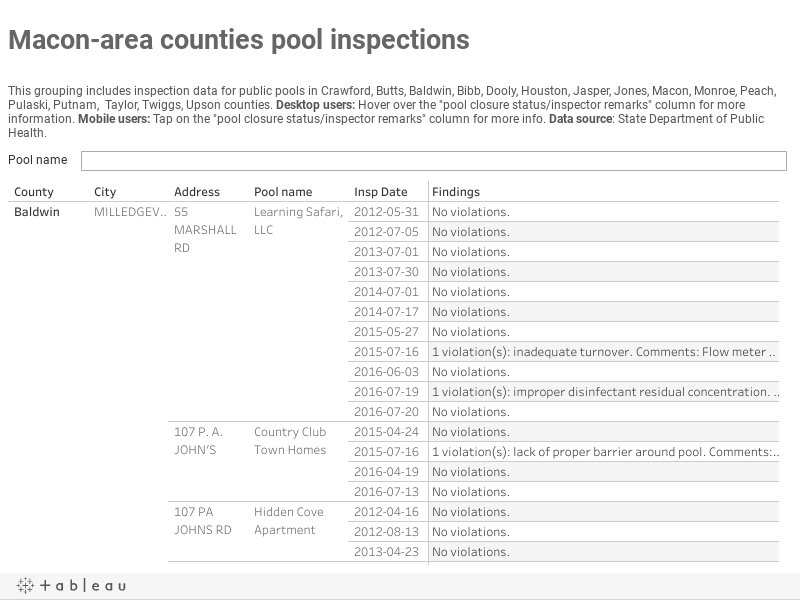 It generally includes pools run by homeowners’ associations, apartment complexes, gyms and fitness centers, municipal and county government agencies, water parks and theme parks. 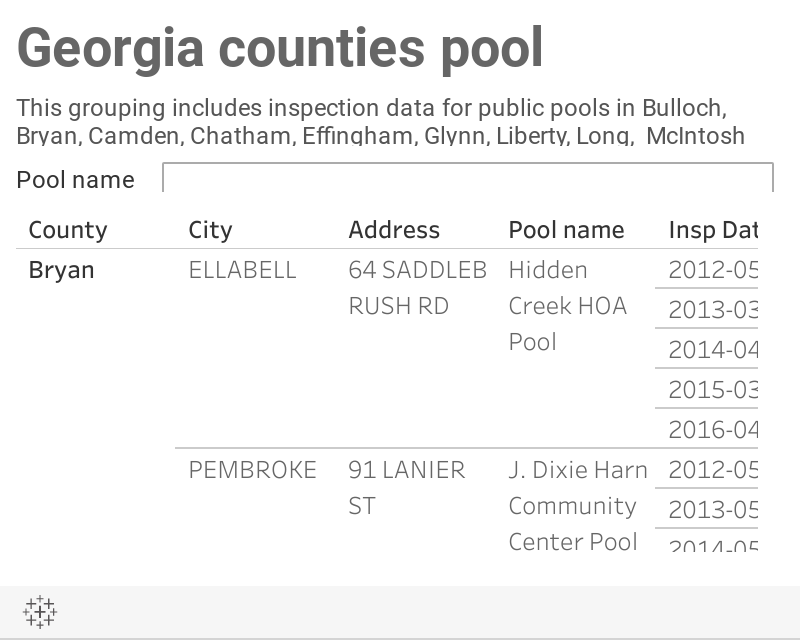 Not all counties in Georgia are in this data -- many rural counties haven't had any public pools functioning since 2012. 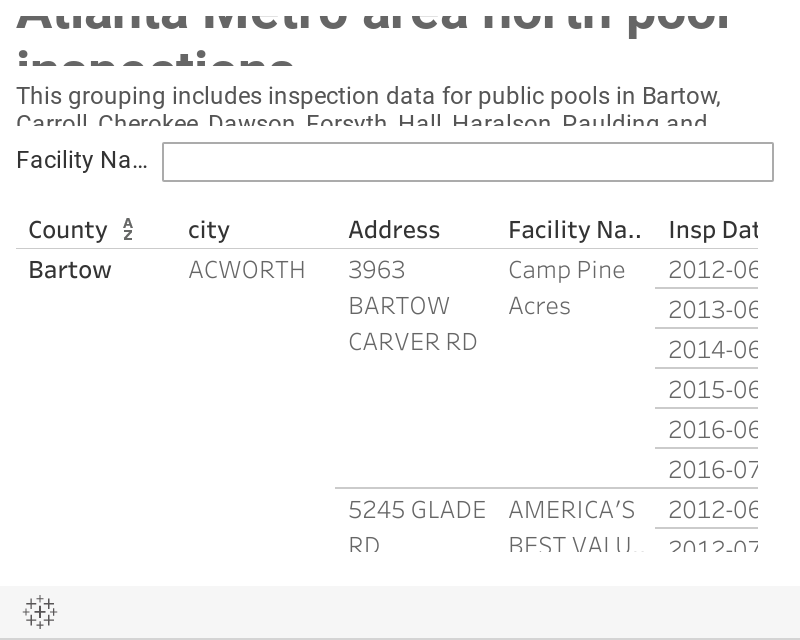 The data in our search boxes is grouped like so: Fulton, DeKalb and Clayton; Gwinnett; Cobb and Douglas; the counties in Atlanta's northern suburbs; Atlanta's southern suburban counties; Athens-area counties; north Georgia counties; Macon-area counties; Savannah and coastal-area counties; Augusta-area and Dublin-area counties; and Columbus-area/south Georgia/southwestern Georgia counties. 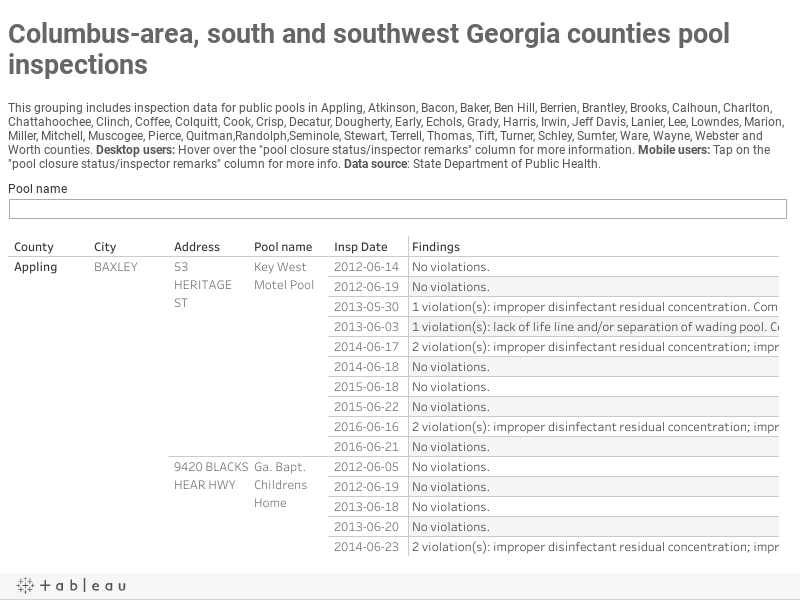 The data presented here was supplied to the AJC under the Georgia Open Records Act by county health departments in several counties, district health departments and the state Department of Public Health.